At Crows Nest Vein Clinic, our vein team are committed to providing the highest standard of professional care and service possible. Our friendly staff will be available to you at all times – before, during and after your vein treatment – to guide and inform you every step of the way. Your concerns are our concerns, so we are committed to ensuring your experience with us is positive and comfortable. At Crows Nest Vein Clinic you’ll be treated by highly experienced and specialised health professionals. Dr Owen Roberts, has extensive experience in vein treatment, having completed over 3000 Laser procedures and 25,000 ultrasound guided procedures with excellent results. Keeping at the forefront of Vein treatment technology, Dr. Roberts was the first in NSW to use the Cooltouch Laser Technique and is considered a leader in his field. Dr. Roberts is one of Australasia’s most experienced vein doctors (phlebologists). He has completed thousands of procedures using ultrasound guided sclerotherapy and microsclerotherapy. 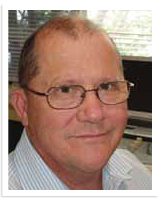 Owen was the first doctor in Sydney to treat veins using the Cool Touch Endo Venous Laser (ELT), in 2004. Dr. Roberts has now performed over 2000 of these procedures. Dr. Roberts is a member of the Australasian College of Phlebology and is a certified sclerotherapist. He was placed first in Australia and New Zealand for clinical and theory exams and won the Australasian College of Phlebology President’s Gold Medal in 2007. Dr. Roberts trained with Dr. John Barrett at the Palm Clinic in New Zealand ( the southern hemisphere’s busiest phlebology practice and now leads the Crows Nest Cosmetic and Vein Clinic’s Phlebology unit. Dr. Roberts has trained numerous doctors including vascular surgeons and international doctors in laser and UGS treatments. He is currently involved in training future doctors for the college of Phlebology. Janet is Head Sonographer at Crows Nest Cosmetic and Vein Clinic and orchestrates the Clinic’s varicose vein treatments. 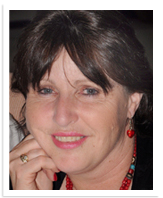 Janet is an extremely experienced radiographer and has a diploma in ultrasonography. Prior to joining the Clinic, Janet was extensively involved in all aspects of ultrasound including obstetrics and musculo-skeletal ultrasound. Janet performs the ultrasound mapping for varicose vein treatments at the Clinic and assists Dr. Roberts with ultrasound guided sclerotherapy during treatments and assessing the success of treatments. Janet is invaluable during endovenous laser treatment to ensure the laser is introduced effectively and placed accurately.